Now that we’ve all had the chance to see our local elementary students strut their stuff at the National Dance Institute performances, it’s time for our older students to show us their talents! The Artesia Historical Museum, Artesia Public Library and the Artesia Arts Council are once again partnering with the New Mexico School for the Arts to present a series of FREE arts workshops and an evening showcase performance on Saturday, Jan. 27. The evening performance has had a change of venue and will now be presented at the Ocotillo Performing Arts Center at 7 p.m. Saturday. It is FREE to everyone. The workshops are free to students in grades 6-12 and are staggered so that interested students can attend all of them if they wish. The evening showcase performance will feature NMSA students along with Artesia students — this is your chance to catch some future stars in action and to secure your bragging rights! • Creative Writing: 9:30-11 a.m., Artesia Public Library (205 W. Quay Ave.). Call 746-4252 to reserve your spot — space is limited. 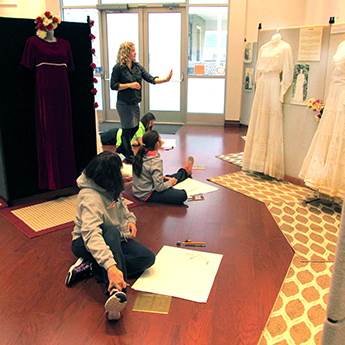 • Visual Arts: 11:30 a.m. – 1 p.m., Artesia Historical Museum (505 W. Richardson Ave.) Call 748-2390 to reserve your spot — space is limited. • Music: 2-3 p.m., Ocotillo Performing Arts Center (310 W. Main St.) Call 746-4252 to reserve your spot — space is limited. • Theatre: 3:15-4:30 p.m., Ocotillo Performing Arts Center (310 W. Main St.) Call 746-4252 to reserve your spot — space is limited.